In Fall 2004, 59 people in 9 prefectures of Japan were sickened by Pleurocybella porrigens. Seventeen died of acute encephalopathy. All or nearly all of the deaths involved people with compromised kidneys and the average age of the victims was 70. 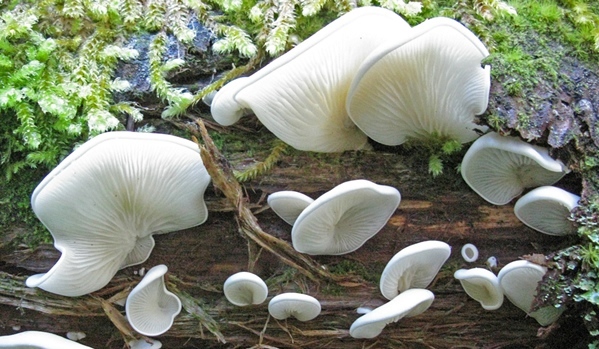 No previous reports are known of poisoning by Pleurocybella porrigens. In 2009, there was one additional published report of a death in Japan from Pleurocybella porrigens. The more recent case involved a man, 65, who had been on hemodialysis for three months. The causative agent in these deaths has long been a mystery but according to a report in Angewandte Chemie International Edition (Wakimoto et al, 2011) the toxin may be an unusual unstable amino acid that they have named Pleurocybellaziridine. 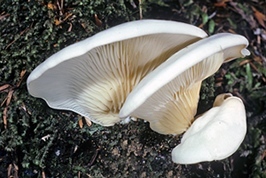 In Japan, in Fall 2004, heavy rains came early resulting in a monumental harvest of Pleurocybella porrigens, known in Japan as Sugihiratake and in North America as "Angel Wings". The mushrooms, which are a popular edible in Japan, reached unusual proportions, as big as an outstretched hand. They were abundant and were consumed in quantity. Symptoms would appear 13 to 18 days after eating the mushrooms and would begin with sub-acute tremor, weakness of the extremities and then consciousness disturbances and intractable seizures accompanied by high fever. Three to eight days after onset, brain images revealed conspicuous diffuse lesions in the cerebral cortex with death typically about 10 days after seizures began. It is possible that the toxin levels in the mushroom were unusually high in Japan during 2004 as a result of the unusual weather conditions, or it just may be that so many individuals ate large quantities of the mushroom that a number of individuals with compromised kidneys crossed a toxic threshold that normally is not breached. We will never know for sure. Since 2004, numerous attempts have been made in Japan to elucidate the toxins in Pleurocybella porrigens. Potential causative agents that were identified included vitamin D analogues, fatty acids, and saccharides. The Wakimoto group (2011) had reported on a lectin and several cytotoxic amino acids, including six novel amino acids. Since all six novel cytotoxic amino acids shared a common ß-hydroxyvaline backbone they suspected and went on to prove that these unusual amino acids may all have arisen from one highly reactive aziridine-amino acid precursor, Pleurocybellaziridine, present in the mushroom at an astonishingly high level of 5.75mg/g. The compound consists of a three membered ring with a NH group at the apex, one carbon with two methyl groups attached and the other carbon with a hydrogen and a carboxylic acid (-CO2H) attached. This structure would be readily attacked by alcohols, glycerol, sugars, etc. to yield the novel amino acids that they had isolated. Were it to reach the brain, Pleurocybellaziridine should be capable of causing the demyelinating symptoms observed as a result of damaged oligodendrocytes. Indeed, when tested against rat CG4-16 oligodendrocyte cells, Pleurocybellaziridine at 3 μg/mL had little effect, but at 10 μg/mL caused a 60% reduction in cell viability and at 30 μg/mL reduced cell viability by over 95%. Were these studies done with the original specimens from 2004? Wakimoto, T., T. Asakawa, S Akahoshi, T. Suzuki, K. Nagai, H. Kawagishi, and T. Kan (2011). Proof of the Existence of an Unstable Amino Acid: Pleurocybellaziridine in Pleurocybella porrigens. Angewandte Chemie International Edition 50(5) 1168.